AMCOG Games launched a new title at the London Show two weeks ago, and it is now available to purchase via !Store, priced at just £9.99. 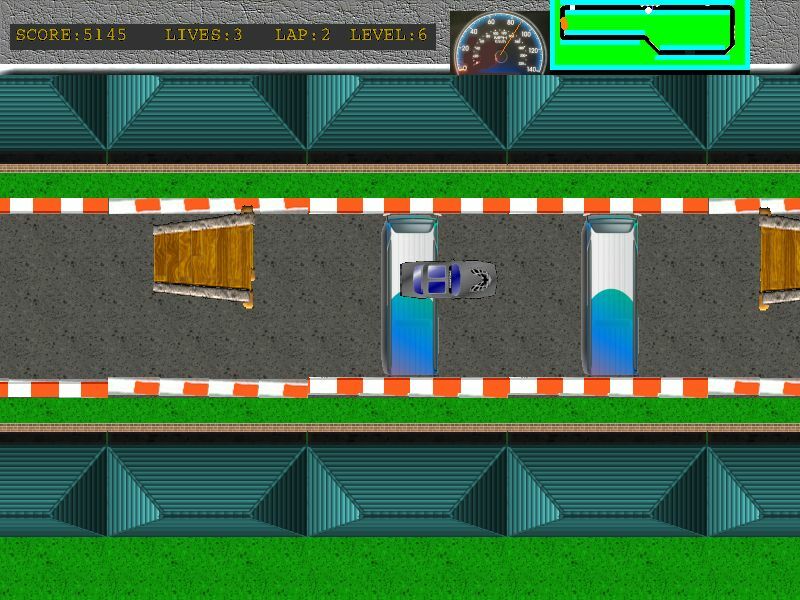 A top-down racing game, Stunt Drivers pits you as a driver in a three-lap race against a number of computer controlled cars around a track on which there are obstacles to overcome – hazards such as oil spills, and ramps for you to use to jump over other objects. With the simple objective of winning the race, don’t simply press down on the accelerator and go for it – you need to balance the ultimate objective of winning with staying in control and remaining in the race! You need to be moving quickly enough to outrun the computer controlled cars and win the race – but you also need to watch your speed to avoid taking sharp corners too quickly, give yourself time to steer around oil spills, or line up your car just right to hit a ramp and safely make those jumps. A full 360 degree motion. Three levels of difficulty – easy, medium, or hard. Ramps, oil, and other hazards. As with all of the games from AMCOG, Stunt Drivers is written in BBC BASIC, with the full source code included. In addition, the data for the racing circuits is an open, plain-text format, making it easy for users to modify it and create their own tracks. The game is compatible with RISC OS 4 on VirtualRiscPC, and RISC OS 5 on (or on systems based around) Raspberry Pi (1 – 3), BeagleBoard, Pandaboard, ARMX6, Titanium, and RPCEmu. As well as being a programmer, AMCOG Games’ Tony Bartram is also a musician, one half of the band Ambiguous Contrasts, which is why his games always include original music tracks. And if you’ve enjoyed the music from the games, you may wish to check out “Unspoken Promises” – an album featuring eleven songs, four of which (in different versions) have been previously used in four of the games.